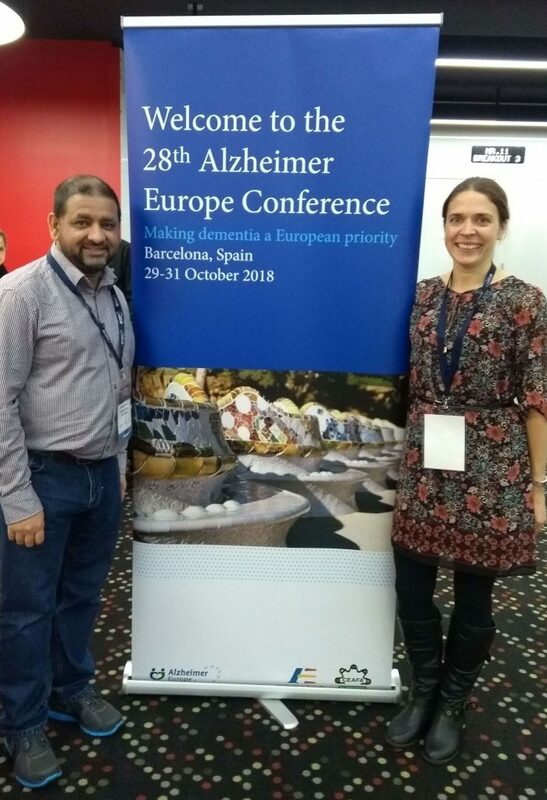 Gail Mountain, Professor of Applied Dementia Research and Director of the Centre for Applied Dementia Research at the University of Bradford was invited by Alzheimer Europe to give a keynote presentation on Dementia Outcome measures at the 28th annual conference in Barcelona, October 2018. Gail used her presentation to urge delegates to work together to reconsider the appropriateness of commonly-used outcome measures in dementia practice and research. The issues she stated as needing to be addressed are: Traditional forms of outcome assessment ca n be based in a deficit model rather than one which promotes living well with dementia – what can no longer be achieved rather than what can; The constructs being measured can contribute towards the deficit model – what about ability to self-manage and retain resilience rather than ADL? ; The majority of traditional forms of assessment require recall; a challenge for those with cognitive deficit. Professor Mountain suggested a radical rethink regarding what should be asked and how, including the role of new technology in creating solutions to this problem. 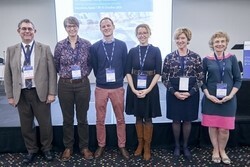 Over 800 participants from 46 countries attended this three-day conference in Barcelona, which boasted 239 speakers and 175 poster presenters, sharing their experiences in an atmosphere of collaboration. We are proud that our Centre was so well represented, with Gail also giving a free paper on involving people with dementia in trial based research, and Lindsey Collins, and Akhlak Rauf presenting findings from their PhD research. Lindsey Collins delivered a presentation entitled ‘Some days are better than others: the experiences of people living with dementia and dysphagia in care homes’. The presentation was part of a parallel session on Nutrition. Lindsey shared qualitative data from her PhD research during the presentation, emphasising individual differences in eating and drinking as well as the common themes that came from interviews with care home residents. Akhlak Rauf spoke about working with and involving local minority ethnic groups in the development of intercultural care and support as part of a special symposium on dementia in minority ethnic groups. Akhlak shared some details of his PhD research whilst also looking at the bigger picture of involving minority ethnic groups.